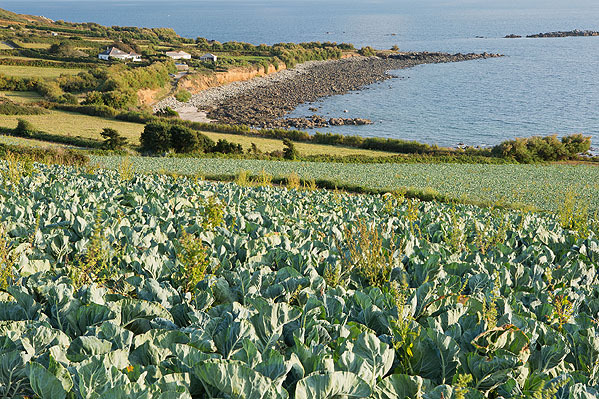 View over Brassica fields to Trenow Cove. Mining took place above Trenow Cove , producing copper from 1845 to 1856. Prince Albert came by steamer to Trenow Cove to inspect the engine house and to see the copper mine. One of a number of Mines ( Wheal Neptune , Wheal Charlotte, Wheal Caroline, Wheal Jenny ...) that operated in the Perranuthnoe area.